Get up and get moving Austin! 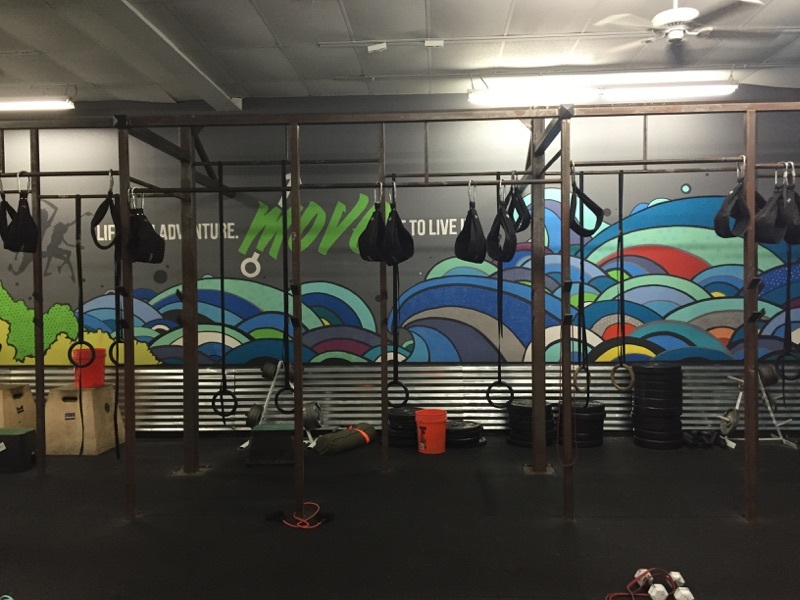 Move Austin Fitness specializes in group training that focuses on strength, capacity and stamina. They offer an 11 week track that consists of 3 weeks strength, 3 weeks capacity, and 2 weeks stamina, with a 1 week transition between each. The class I attended was during their strength week, which focuses, of course, on strengthening your entire body. You perform movements at max effort in order to transform your body into what you want it to be. I am not usually one to lift extremely heavy weights, but during this class you are able to push yourself and lift to your max effort in order to build strength in order to counterbalance any other activities you may be doing, like running or cycling (cardio based). What I especially loved about this class was that they incorporated some cardio drills between sets so your heart rate is always up and you are burning fat as well as building muscle. The workout was AWESOME to say the least! I like doing things that I don’t normally do, and I like being challenged to push myself. The trainers were amazing and so knowledgable about every exercise and the muscle groups they worked. If you are not doing something properly they are able to correct you right then and there to prevent injury and also to make sure you’re working the right muscle groups! Move is a really fun studio, with a great environment to be around. The trainers are focused on you and you really do get that one-on-one experience (especially if you go to an earlier class when no one else is awake yet). I’ve been a few times now, and I already feel like a part of the family! Can’t wait to try out their other classes and grow stronger with them. Cost: First Move assessment is FREE; ClassPass and Studio Hop accepted! About: At Move Austin Fitness, the coaches consider themselves your life coach, not only your trainer. You will never be just a number because they believe that community is family and that hard work in the gym, builds relationships for life. They are all about moving your body and incorporating exercises that help you with everyday activities. What starts in the gym changes your life, and they live by that. Tip: They believe fitness gives goals, purpose and a drive to not only look better, but also feel better. They incorporate strength, capacity, and stamina to maximize results, as well as, flexibility in order to move better and live a lifetime full of adventure!